Our five grand piano models enjoy the benefit of more than 160 years’ experience and reflect our commitment to achieving the perfect sound: transparent, rich in overtones and extremely versatile. You will find a more-detailed description of the dynamic resonating materials we use under ‘Production Principles’. Our pianos have almost unlimited endurance. Active hitch pins on all models purposefully enhance overtones according to the ‘Mischklangprinzip’, through which tone colours are seamlessly brought together to create a unified and rich sound-world. In addition, the E-272, D-232 and C-212 models are furnished with pressure bridges (capo d’astro) to enhance the instruments’ treble range. Transparency of tone is ensured through a tightly-controlled soundboard with an expansive bass bridge, while maximum dynamic range is obtained by the use of tough, durable instrument casing which consists of up to 36 horizontal and 18 vertical layers of beech wood. Furthermore a Steingraeber speciality, the uniformly flexible, yet straight and suspensionless bass bridge, reinforces the resonant capabilities of the soundboard. All frames are designed without cross struts at the front, offering great advantages for ‘una corda’ playing, as well as for ‘extended techniques’ often called for in New Music. Twenty percent more up-weight as well as non-slip key tops (white keys made of mineral ivory substitute – 10,000 year-old mammoth ivory is also an option – and black keys of solid ebony), make the touch and feel of our grand pianos absolutely perfect. Finally, differences in the lever lengths of black and white keys (1 gram less per black key) are equalised during counterbalancing, all of which rounds off an incomparable playing experience. 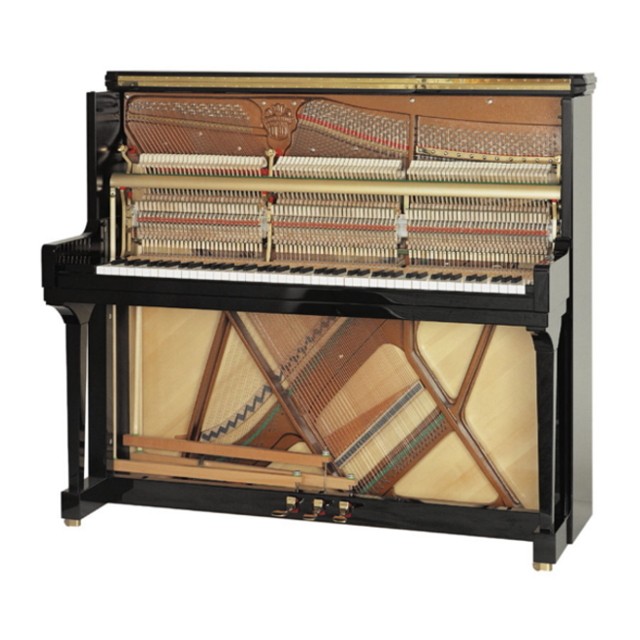 There are good reasons why what is said about the full sound of Steingraeber grands also holds true for our three upright piano models. First-class quality in both the choice of materials and craftsmanship in production is the guiding principle behind Steingraeber grand pianos. In terms of sound, the close ‘family resemblance’ is immediately apparent in the widely variable response, precisely differentiated tone quality, and polyphonic transparency of our uprights. 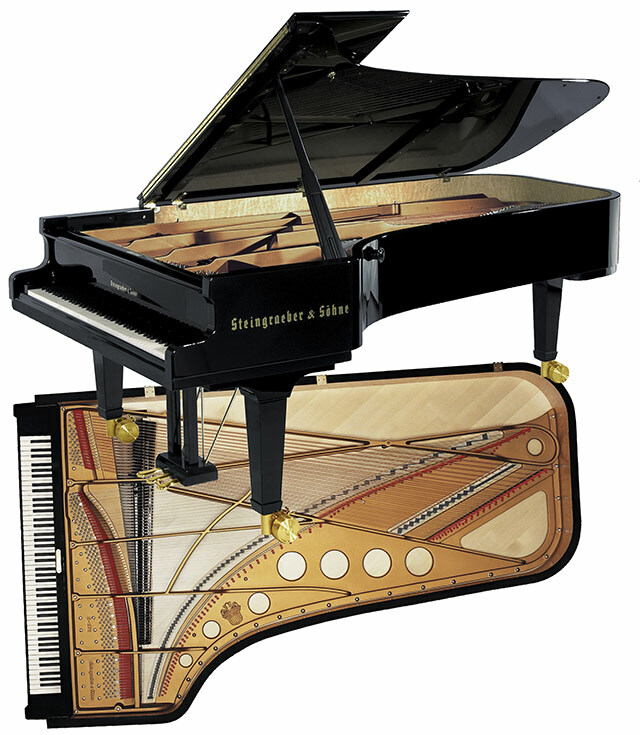 Compared with other top piano manufacturers, Steingraeber & Söhne offers an unparalleled selection of alternative actions for professional musicians: The Classic Steingraeber action, the accelerated ‘PS’ action including a standard third (sostenuto) pedal, and the Steingraeber-Ferro Magnet-Action (SFM®) for grand piano-like, deep repetition.